Energy costs are often a a major talking point when the heating is on for longer and technology can play it’s part in helping minimise the spending. The variety of controls is constantly expanding and ranges from the wireless thermostat to the fully integrated Smart house. The whole house can be linked to an app to allow control of heating, lighting, tumble dryers, sockets…the options are endless! Cost savings might not be the first thing that comes to mind when all this is first discussed, it certainly won’t save you money in the 1st year, but over time you will see benefits on your bills. 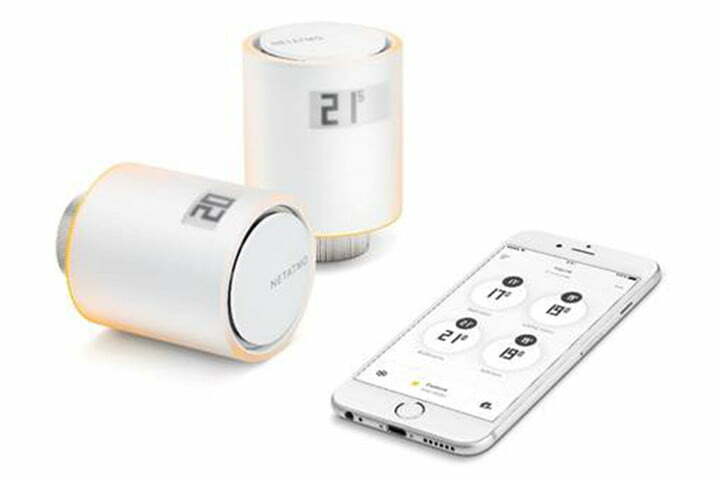 Smart home company Netatmo have stylish Smart Radiator Valves. These valves promise to help users cut down on their energy consumption or your money back! The bathroom heating schedule can be set so that your morning shower will always be toasty, and your living room can be kept at a comfortable temperature when you return home for the day.